Every 6 months or so I try to switch up my skincare routine. I think it's important to do this because of the change in seasons but also your skin naturally changes over time and so its needs and wants will change too. 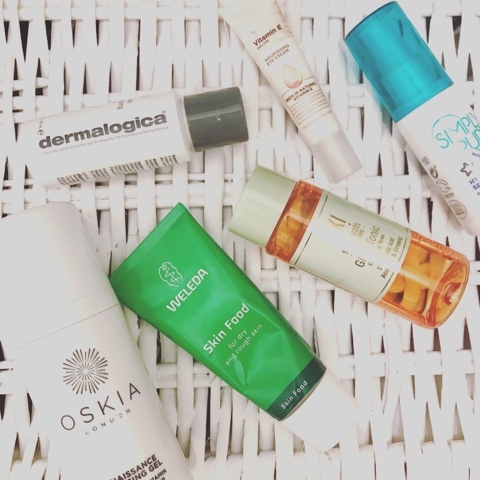 My skin type is normal to dry so hydration and moisturisation are key in my skincare routine. With some help from my beauty therapist I feel I have really got my skincare routine down to where my skin is pretty much clear of blemishes and dry patches and I am overall quite happy with. To take my makeup off I use either the Renaissance cleanser from Oskia or the hot cloth cleanser by Naturally Radiant at Superdrug. Then I like to double cleanse to make sure all the makeup and dirt are completely gone. For this I use either the Philosophy cleanser or the Dermalogica cleansing gel. In the mornings I will spray my face with the Mario Badescu rose water but in the evenings I like to use something with hyaluronic acid in it so either the Pixie toner or the Nip&Fab pads. A good eye cream. At the moment I'm using the vitamin e one from Superdrug but I'm open to suggestions for others? I use a serum as this is slightly stronger than a moisturiser so you want to use it underneath. The one I use it the hydrating one by Simply at Superdrug. The last step is a moisturiser. 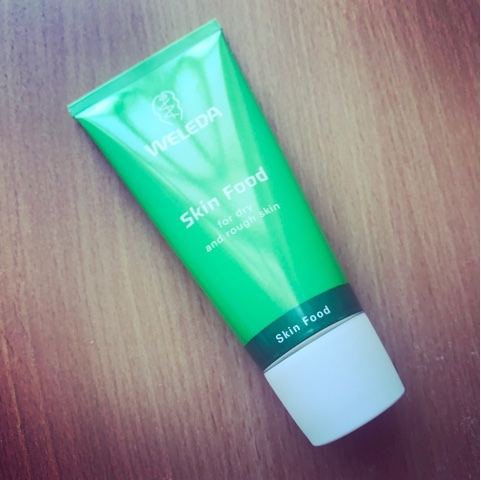 In the day it's something by the Naturally Radiant range at Superdrug (LOVE this range for dry/dull skin) and in the evenings it's either a face oil or the moisturiser by Weveda. I also like to use an exfoliator twice a week like the Nip&Fab once which has hyaluronic acid in it.